Chitta Happens Ayurveda is an Ayurvedic clinic in San Francisco that offers health consultations and ayurvedic treatments. 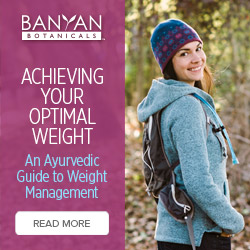 Ayurveda is an ancient Vedic medical system that focuses on optimizing physical, mental, and emotional health. This system offers practical and effective solutions for most illnesses, and easy to implement guidelines for disease prevention. On a deeper level, Ayurveda is a path to awaken and discover our true selves. Chitta is pure awareness: that which is beyond all thought. We have forgotten that Chitta can happen everyday. Pure awareness does indeed happen, it is just buried underneath the incessant chatter of thoughts in our minds. Chitta Happens Ayurveda teaches that our True Self is full of infinite possibilities for physical, mental, emotional and spiritual health. Chitta Happens Ayurveda San Francisco clinic offers powerful tools to allow us to delve into this realm and open to the divine.